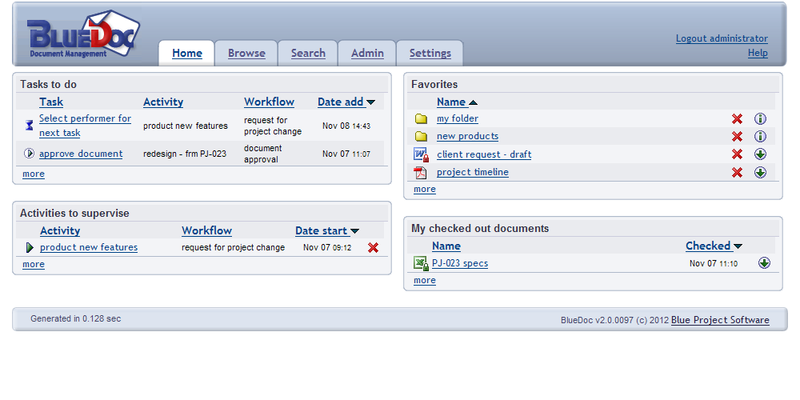 BlueDoc is a multiple users document management system. It access by user group controls for saving and accessing documents. Comes with it is a graphical tool to chart document workflow between users. A good document process management tool and allows fast and easy full-text search of Word, PDF, PowerPoint and other document formats. Click here to view other features http://www.blueproject.ro/bluedoc/features. A good tool, however, we feel that the fee by per user could be a little high and if we are not wrong, it is lacking of the web interface to allow access through web broswer which would definitely make the tool very much more elegant. i have been using Latitude Software for years now and it never fail me, all the project/job management, timesheet management, document control can be done in this software. True, with digitalization project management team are more dispersed and thus makes difficult to keep project documents upto date. Projects documents availability to team members with the security and integrity of these documents is most important. So the need of integrated document management software has come up! Using paper to manage document is not the best solution for your business, so it is very important to manage your document online with some Online document management system."